Product prices and availability are accurate as of 2019-04-18 02:15:16 UTC and are subject to change. Any price and availability information displayed on http://www.amazon.com/ at the time of purchase will apply to the purchase of this product. Mattel unveiled the Barbie Hello DreamHouse at the 2016 International Toy Fair in New York City. 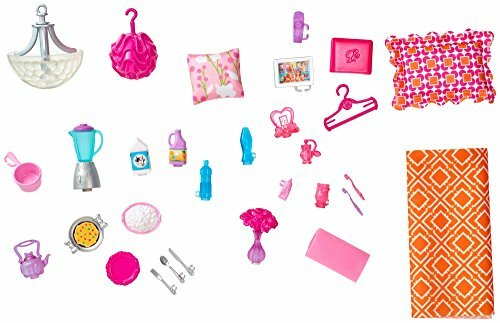 In addition to the doll coming in different shapes and sizes, it will get a fully connected Barbie Hello Dream House. This is a Wi-Fi enabled smart home that can be controlled using voice commands. It is a six-room house with an elevator and a mobile app to control it. The app, however, is only required during the smart home's setup process. It has the Siri-like capability to decode whatever is said into it and act accordingly. The Barbie Hello Dream House will give children a better playtime since they will be able to control their playtime with voice commands. Barbie also acquires a drone this year. Among the functionalities advertised is that the Barbie Hello Dream House has voice commanded lighting. This feature puts on the lights of the smart house upon decoding the voice command. Other complex commands such as "getting ready for school" performs many actions that are preparatory to attending a school such as; lighting the bathroom's lights and triggering sound effects of running water in the shower. Kids can also command the house elevator to the house's floor where Barbie is waiting. The Dreamhouse also has a party mode. This mode upon activation starts flashing lights and fun music playing. At the same time, the staircase transforms into a slide to give other toys a quick access to the party. If you would like both Barbie and your child to go outside the house, there is a starlight RC hoverboard that you can use. This is a small drone with Barbie rested on top as if she is riding it. The drone flies high and possibly lands roughly to the point you want it to fall. The RC Hoverboard is available for sale now. 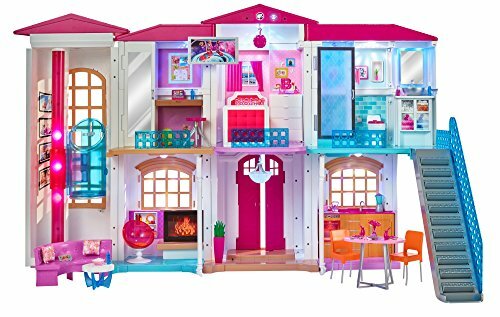 The many features of the Barbie Hello DreamHouse and the hi-tech functionality should provide a lot of play from this doll house. The voice command feature makes your child's playtime more fun. 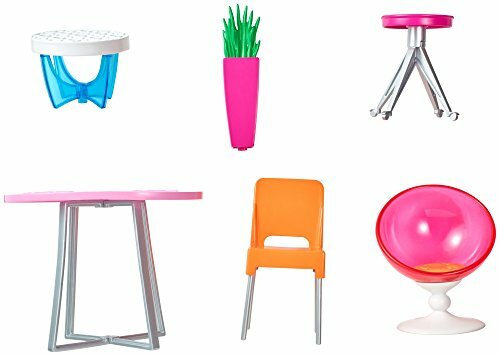 Is The Barbie Smart Home Worth The Money? Yes, with the many features that the Barbie Hello Dream House comes with, it is still worth the hefty price tag. The dream house is available for sale starting this fall and you can be guaranteed it is available at Amazon. The Barbie Hello Dreamhouse has more advantages than disadvantages, bearing in mind that you can keep off the mobile application control from your child, the Barbie Hello Dream House will be a great gift to add to your daughter or grand daughter's play kit. Move into the high-tech world with the Barbie Hello Dreamhouse that uses Wi-Fi-enabled speech recognition to respond to more than 100 commands! Features four motors, automatic elevator, electronic staircase that turns into a slide, spinning chandelier and doors that open with a voice command! Change features within the six rooms, move the elevator and change the stairs into a slide simply by telling the house what to do! Use the Hello Dreamhouse app to customize the sounds in each play space -- you can even record your own sounds for use in any of 15 locations Thirteen switches located throughout the house bring each room to life -- like a fireplace that crackles in the living room!